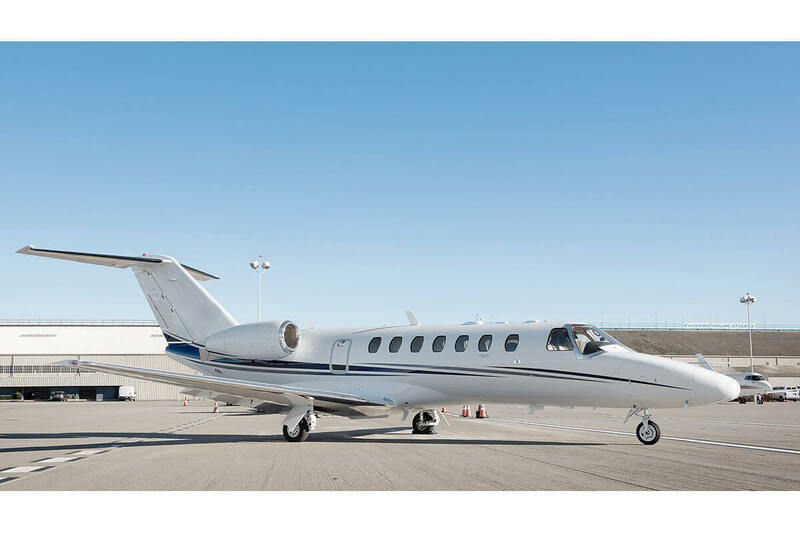 Following in the footsteps of its Citation predecessors, the CJ3 is well-known for its fuel efficiency, dependability and performance. 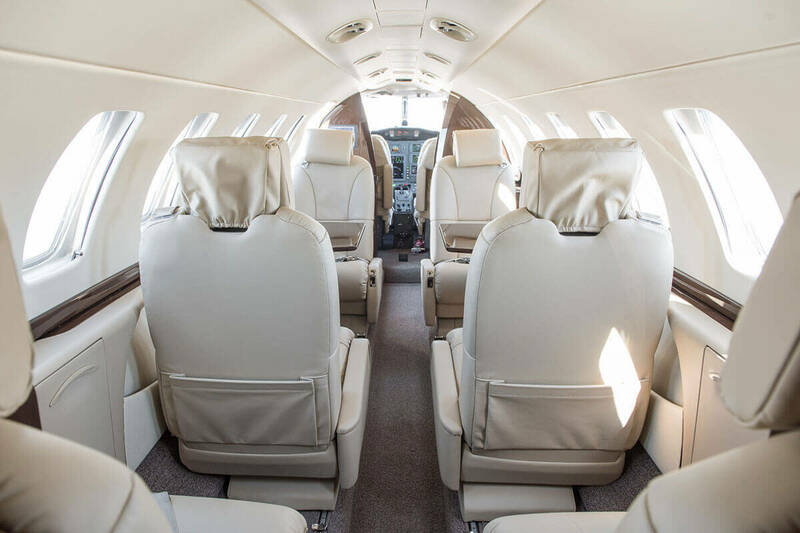 With a larger cabin for more comfort and seating, this aircraft can accommodate seven passengers for a trip of up to five hours. 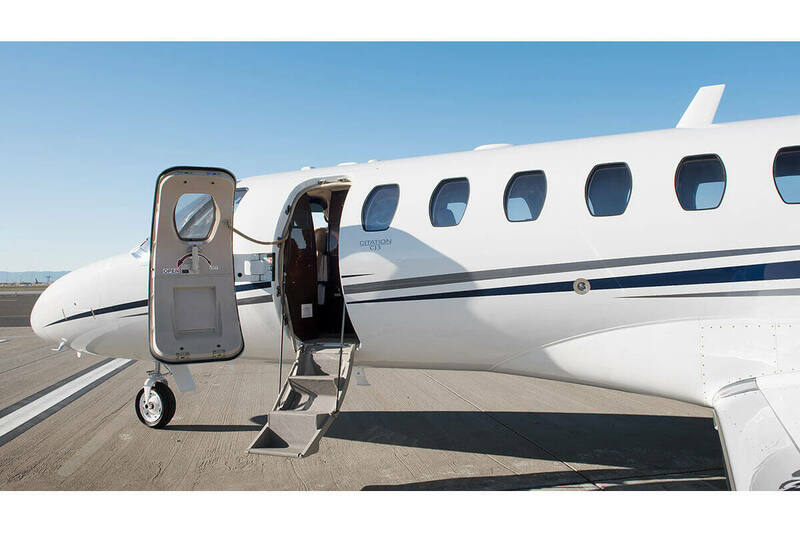 Its well-designed, deluxe cabin offers superior comfort with increased baggage capacity, while remaining one of the faster and more economical light jets. 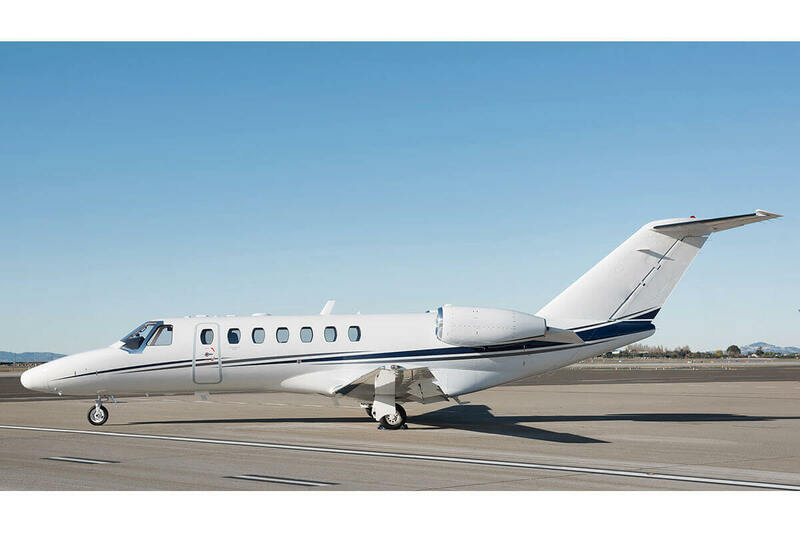 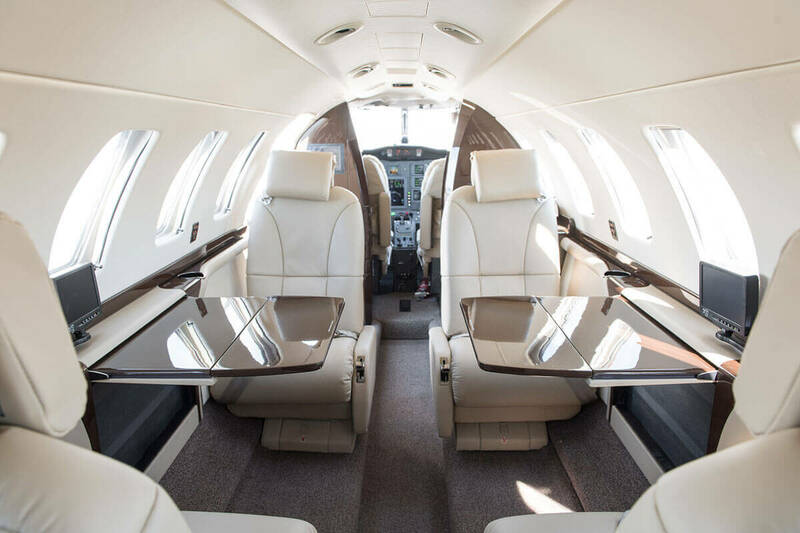 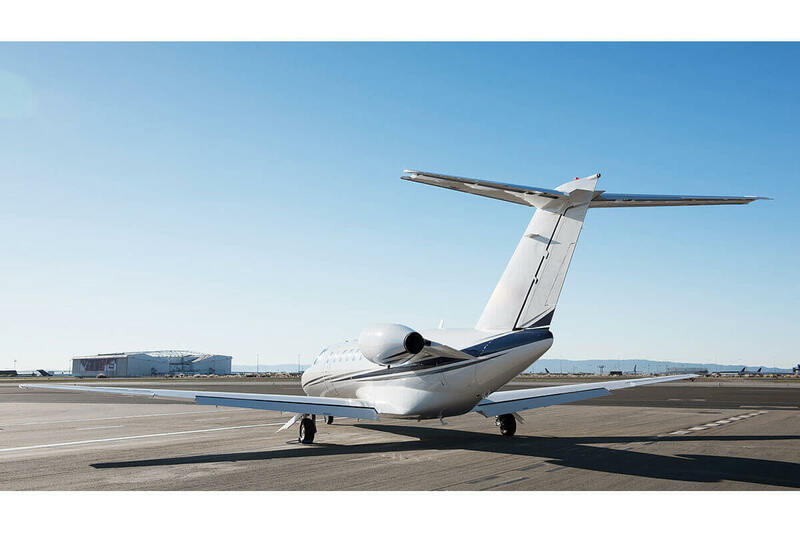 With the combination of low operating economics and cabin luxuries, this aircraft offers one of the best experiences in executive jet air travel. 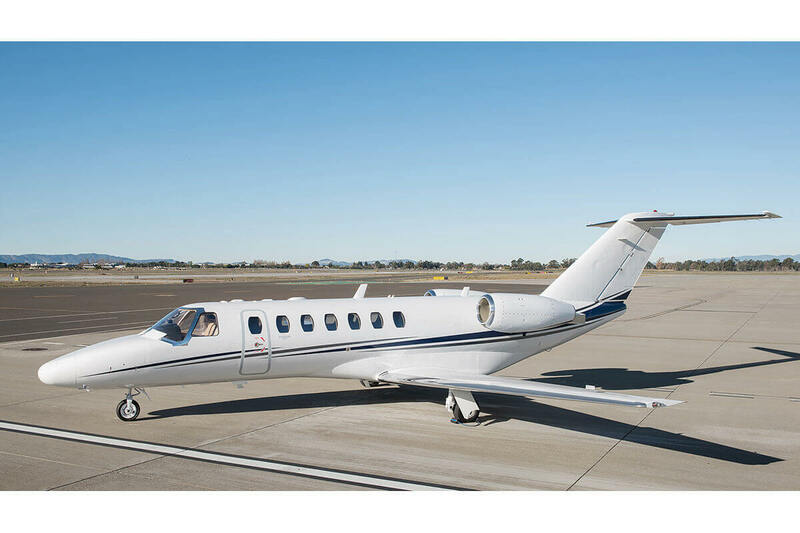 The CJ3 is the perfect choice for a small group taking a trip of up to 1,700 miles or five hours. 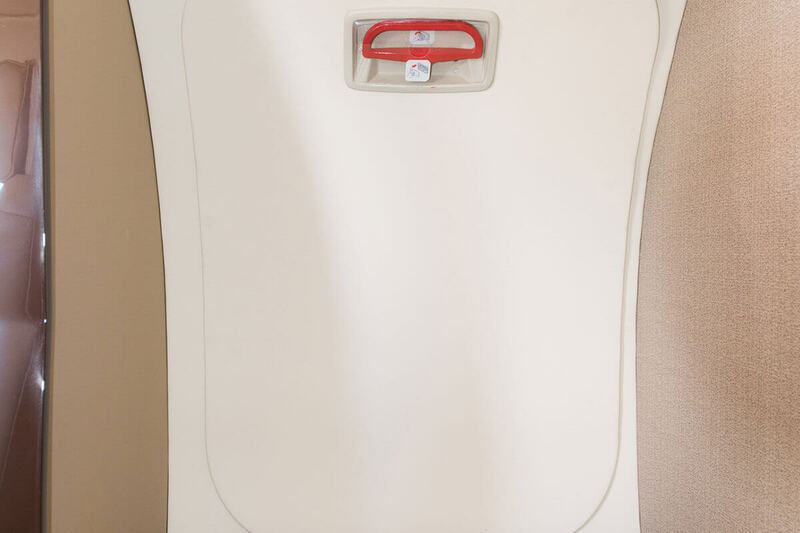 Known for its high performance, it is a favorite among business travelers who appreciate the cost savings without sacrificing comfort and performance. 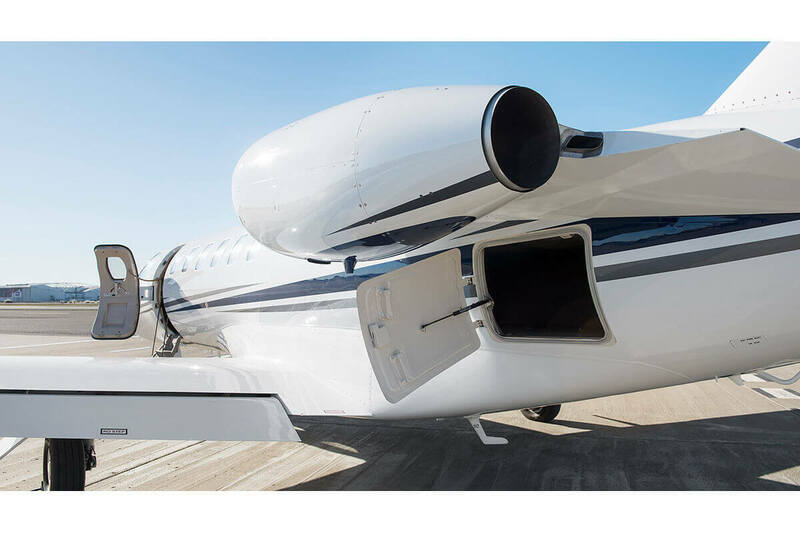 The innovative wing design significantly improves lift-to-drag performance. 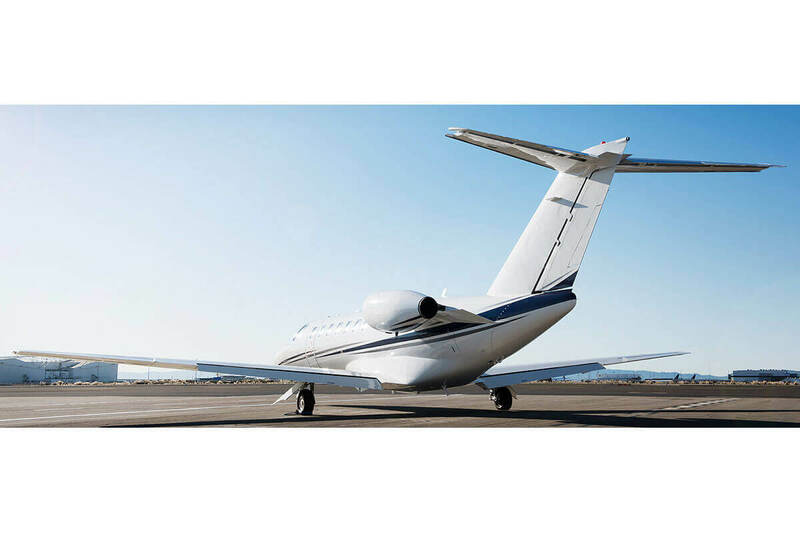 It also has a surprisingly high payload and still has the capacity to easily operate from a short runway. 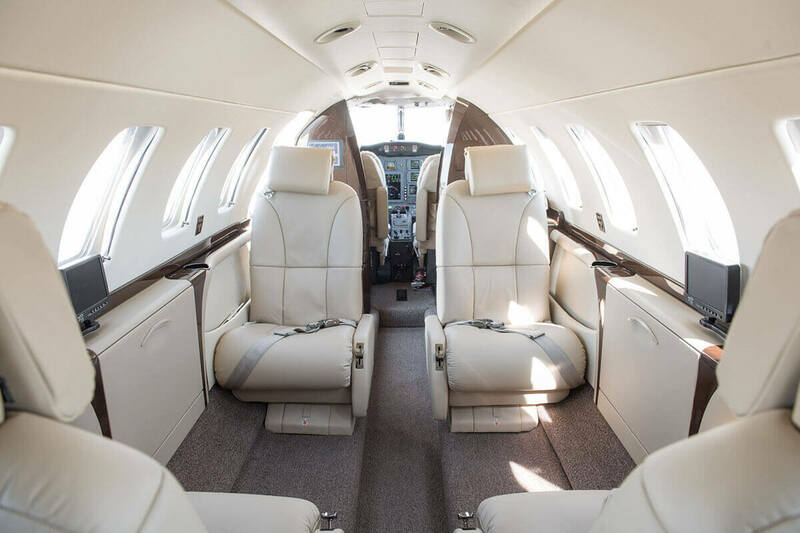 The roomy cabin is thoughtful in design, providing luxurious seating for its passengers. 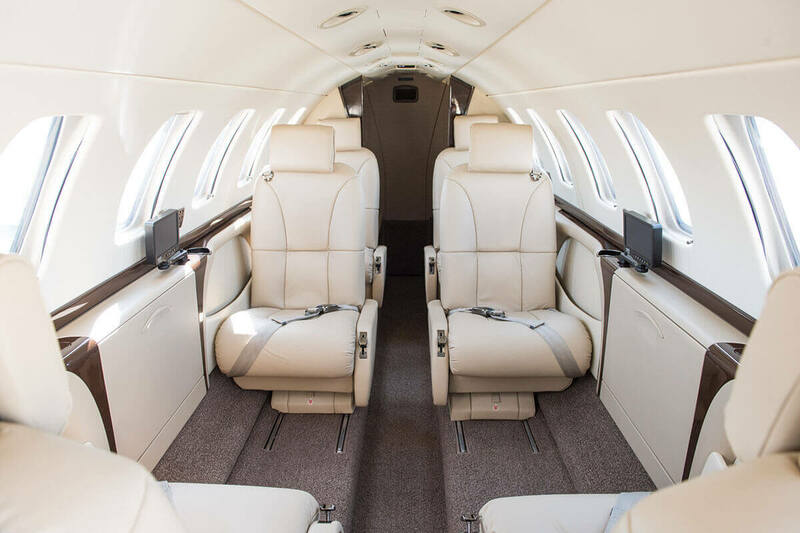 This stretched space is more than 20 feet long with a height of nearly 5 feet and the meticulous details and finest finishes expected in a private aircraft. 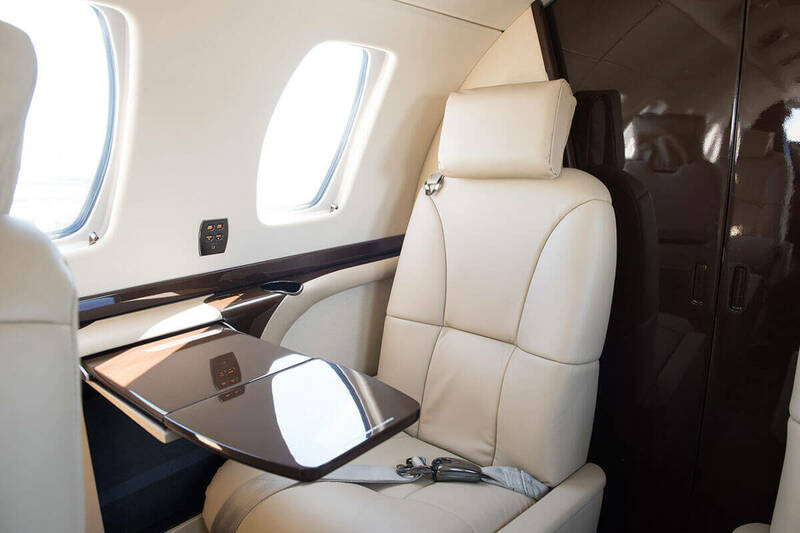 Adjustable club seating with multiple configurations allows for a comfortable and relaxing trip. 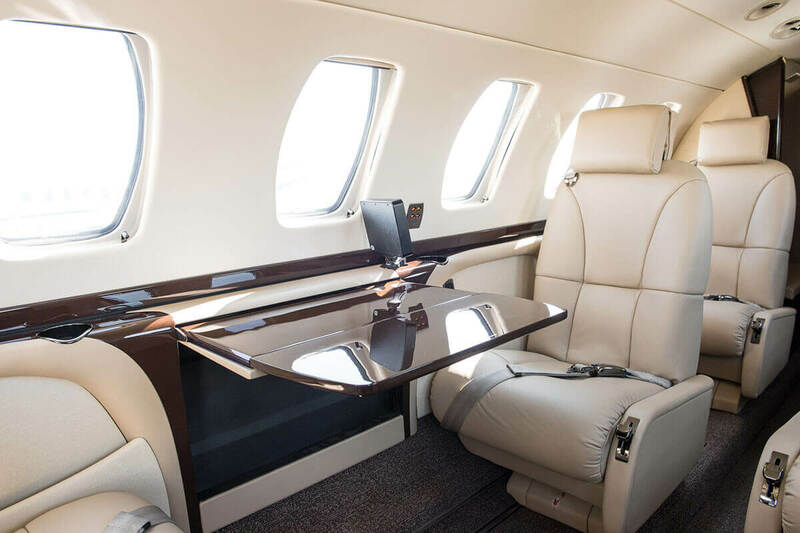 Additionally, the CJ3 features 14 windows offering stunning views and creating a spacious feeling. 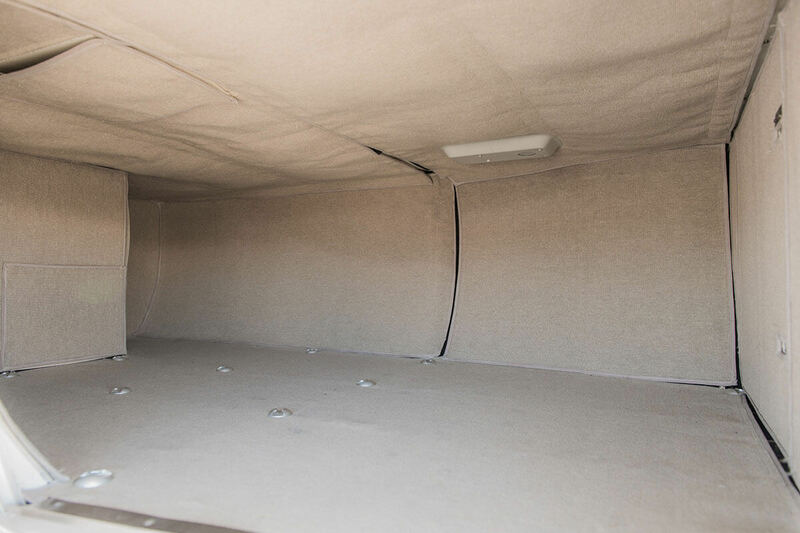 Advanced soundproofing provides a relaxing and quiet ambiance for travel, perfect for on the go business meetings. 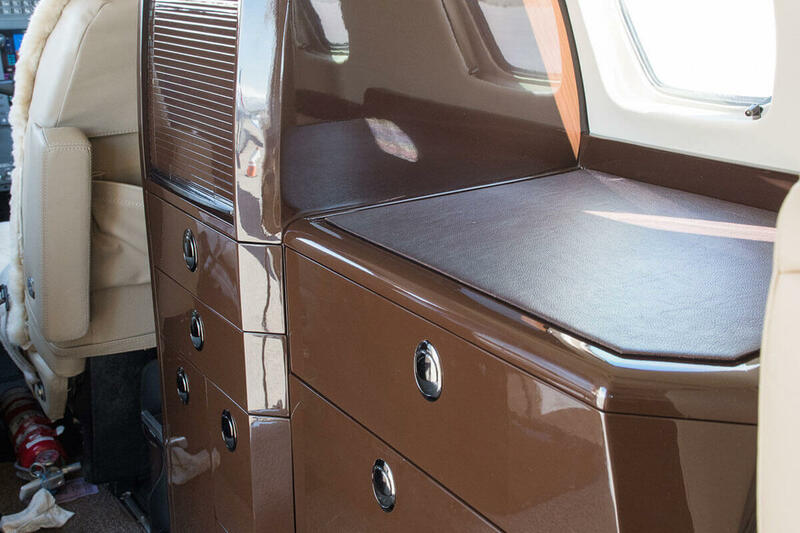 Ample storage space will accommodate baggage, skis, golf clubs and other gear with ease. 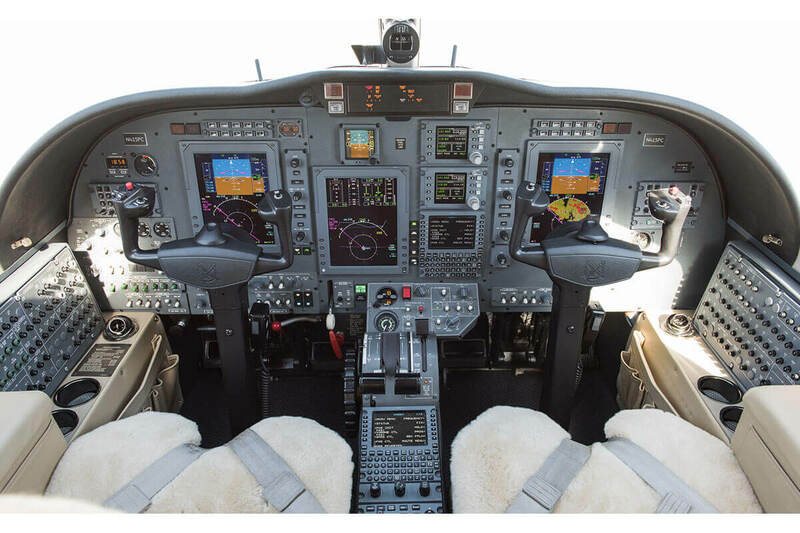 The pilot-focused flight deck is equipped with state-of-the-art Collins Pro Line 21 avionics, providing unparalleled access to important information, such as real-time weather, terrain mapping and traffic resulting in increased situational awareness and greater safety. 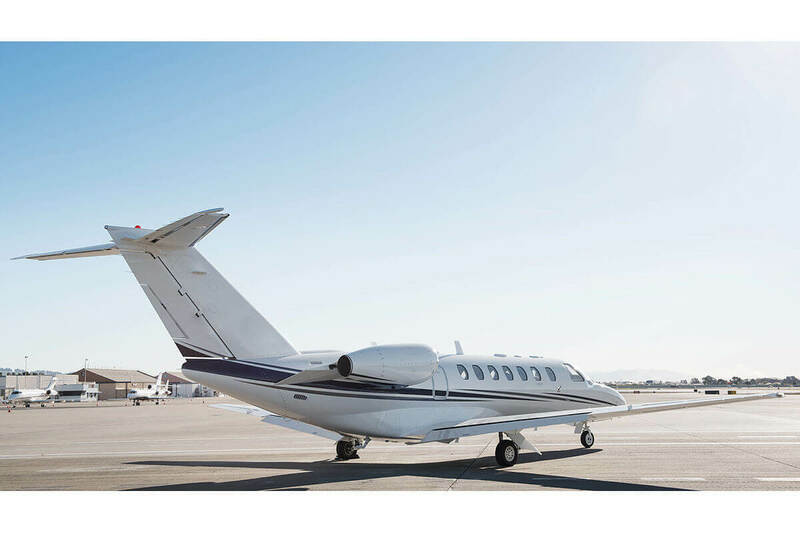 The CJ3 is an excellent choice offering the luxury and economy we guarantee our clients. 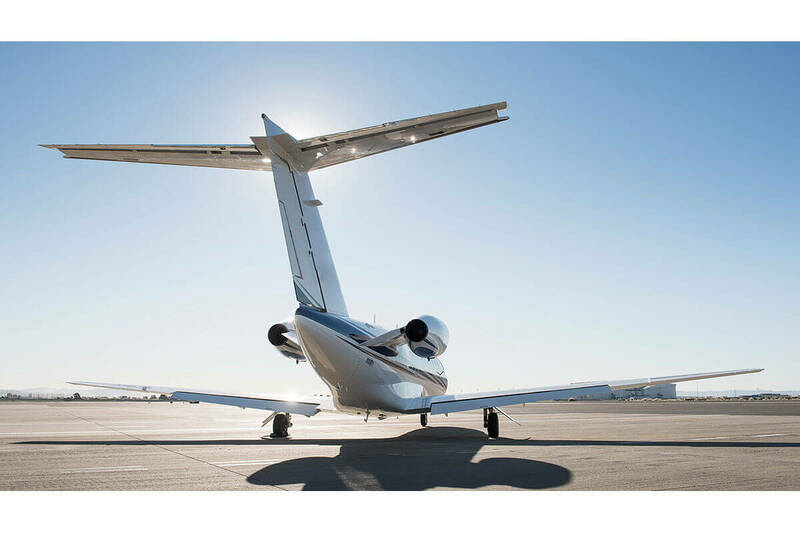 For a group planning their next excursion, the CJ3 provides the flexibility, reliability, and overall exceptional experience that comes with private jet travel.